Sheriff’s Homicide detectives arrested 57-year old Teng THAO Wednesday morning in connection with the shooting death of a woman earlier this year in south Sacramento. 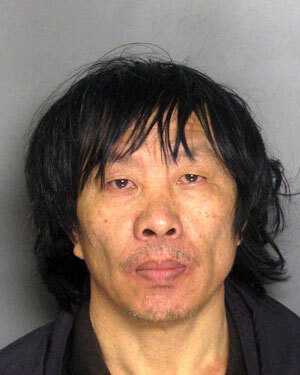 THAO, a transient, was taken into custody in the area of 37th Street and 41st Avenue, wasd booked into the Sacramento County Main Jail on a single charge of murder. On January 9, 2011 shortly before 4:00a.m., Sheriff’s deputies responded to the report of a shooting in the 3700 block of 45th Avenue. When they arrived, they found an Asian woman, later identified as Jennifer Cha. Cha had suffered a gunshot wound to the upper body. Paramedics responded and pronounced Cha deceased at the scene. The motive for this shooting has not been determined, and the investigation is still ongoing. Anyone with information about this case is encouraged to call the Sheriff’s Homicide Bureau at (916) 874-5057. No Comment to " Sacramento Transient Arrested in January Homicide "